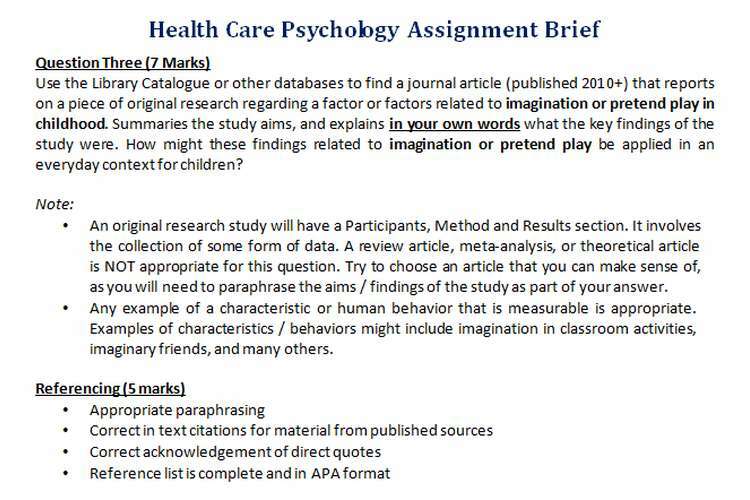 This health care psychology assignment brief in which discuss on psychologists practice in an increasingly diverse range of health care. According to Piaget’s theory of cognitive development, the final phase of the Sensor motor stage of development is heralded by an important cognitive milestone that allows the child to progress into future stages of development. What is this milestone of cognitive development in children between the ages of approximately 18 to 24 months? Referring to Hall’s (2000) description of Madeleine’s actions, is there evidence that Madeleine can perform actions representative of having achieved this milestone? Which of Erikson’s psychosocial development stages is most relevant to the examples of Madeleine’s infancy described by Hall (2000)? Provide a description of this stage. Providing examples from Hall’s (2000) description, does Madeleine appear to be resolving this stage in a positive or negative manner? How does Nora’s story relate to Erikson’s generatively vs. stagnation stage of psychosocial development? Provide a description of this stage. Providing examples from Zal’s (2000) description, does Nora appear to be resolving this stage in a positive or negative manner? There is a popular topic in developmental psychology about the ‘midlife crisis’. What are the characteristics of this ‘midlife crisis’ and is this seen as the same for men and women? Consider Nora’s situation and refer to academic literature to explore whether the midlife crisis is the same or different between genders. Recommended sources of information for this question: introductory psychology textbooks, developmental psychology textbooks, and journal articles, DO NOT use websites/ web pages. OZ Assignment Help provide assignment help and tutoring service, covering all the subjects. Our assistance is a great support to student in achieving good grades not only in their university assignments, but also in the professional career.